If Major League Baseball had acted on a request by its players, the broken bat that seriously injured a woman at Fenway Park on Friday night never would have reached the seats. 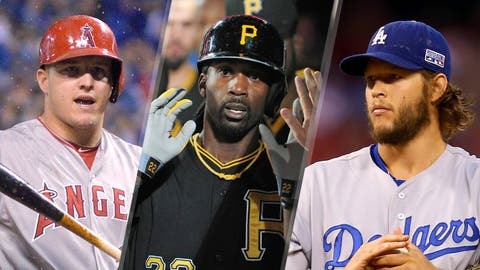 The players, in each of the last two rounds of collective bargaining, proposed that protective netting extend down the foul lines and even to the foul poles, according to major-league sources. The owners, however, rejected the proposals for the 2007 and 2012 labor agreements, citing concerns that additional netting would detract from the experience of ticket buyers in certain premium seats, sources said. "Some owners are afraid to upset the fans that pay some of the highest ticket prices, when in reality, it’s an effort to protect those very fans," said Diamondbacks reliever Brad Ziegler, a member of the negotiating committee for the players’ union. "(The owners) seem afraid that fans will lose access to the players – autographs, getting baseballs, etc. — and that will cause those ticket holders to be unhappy. Or, that they’d have to watch the game through a net. (But) fans behind home plate pay the highest prices, have the same issues, and yet those seats are always full." Baseball requires protective netting behind home plate, and some teams also use protective screens down the foul lines during batting practice. 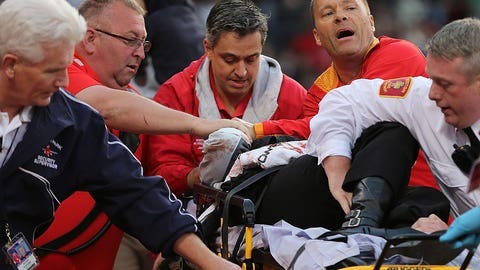 The woman at Fenway struck in the face by a broken bat — Tonya Carpenter, 44, of Paxton, Massachusetts — was sitting beyond the netting, in the second row between home plate and the third-base dugout. Carpenter, who could be heard screaming as she was taken off the field in a stretcher, was rushed to Beth Israel Deaconness Medical Center in Boston. Her family said in a statement that her condition was serious. Baseball issued a statement saying fan safety was a priority. "We have the utmost concern for the victim of this terribly unfortunate incident," the statement said. "We will continue to keep her and her family in our thoughts and prayers. We appreciate the efforts of the Red Sox, the first responders, the Boston Police and Beth Israel Deaconess Medical Center. "Fan safety is our foremost goal for all those who choose to support our game by visiting our ballparks and we will always strive for that experience to be safe and fan-friendly." In 2008, baseball identified the emergence of maple bats as the reason for a sharp increase in the number of broken bats, and imposed design standards that cut the number of shattered bats in half, MLB spokesman Mike Teevan told the Los Angeles Times. At the time, former commissioner Bud Selig said he was not considering more extensive protective netting around the field of play, similar to what is used in Japan. "While we’re always very, very concerned with the health and the welfare of the fans, you also don’t want to do anything to obstruct the views of the fans, which creates really a major problem. You sort of have to weigh one against the other." A spokesman for baseball said Saturday that the sport is constantly evaluating safety issues and that commissioner Rob Manfred likely will revisit the question of whether teams should install additional netting. Players, however, say that the owners have seemed to place a greater priority on fan ambience than fan safety. "The blowback we got is that people pay lots of money for those seats and don’t want a net in front of them," said left-hander C.J. Wilson, the Angels’ player representative to the union. "The difficulty for owners is balancing the premium seats and the safety of the people in the premium seats. "Obviously, there is a lot of velocity involved with anything that goes into the stands, whether it’s errant throws, broken bats, foul balls — especially foul balls. It’s terrible whenever something happens and somebody gets hurt. That’s why we encourage people to literally bring a glove to the game. It’s completely random when it happens. It’s not predictable." According to a 2009 study by Sports Illustrated, foul balls had killed 52 spectators since 1887. The only fatality at a major-league park occurred in 1970, when a 14-year-old boy was killed by a foul ball at Dodger Stadium, SI said. Most parks include signage that warns fans who sit close to the field to pay close attention — "Be Alert Foul Balls and Bats Hurt," the signs at Fenway say. Tickets include disclaimers shifting all responsibility for injury to the fan. In 2002, the NHL responded to the death of one of its fans — Brittanie Cecil, 13 — by mandating protective netting behind each goal. Cecil was hit by a puck while attending a Columbus Blue Jackets home game, and died two days later. NHL commissioner Gary Bettman, addressing critics of the netting, said at the time, "After three minutes people won’t know it’s there." Left-hander Chris Capuano, the Yankees’ player representative, said that baseball needs to act before a tragedy occurs in a major-league park. "Hopefully something bad doesn’t have to happen for something to change," Capuano said. "We talked about it the last time (in collective bargaining). I’m sure it will be on the table this time." Baseball’s collective-bargaining agreement expires on Dec. 1, 2016.